This year’s show is particularly special as we will be showcasing three brand new products; including the strongest and lightest poles on the gutter cleaning market – SkyVac Elite. Since the launch of the clamped poles in January of this year, we have been overwhelmed with the amount of interest we have received and the positive feedback from customers both in the UK and overseas. We will be offering a special discounted price on the poles for existing SkyVac customers, exclusive to The Cleaning Show. Taking centre stage will be our brand new Telescopic internal vacuum cleaning pole. Available to purchase from our website this month, the feather-weight carbon fibre pole reaches impressive heights of 30ft, with a collapsed height of just 5.5ft and is compatible with most major branded vacuums, including the whole SkyVac internal range. Last but not least, direct to the professional window cleaning industry – SkyVac Reach. The latest innovation in Telescopic water fed poles, designed especially for the modern window cleaner. Our new product line is a reflection on the growth of our business over the years, and especially in 2017, where we employed six new members to our team. 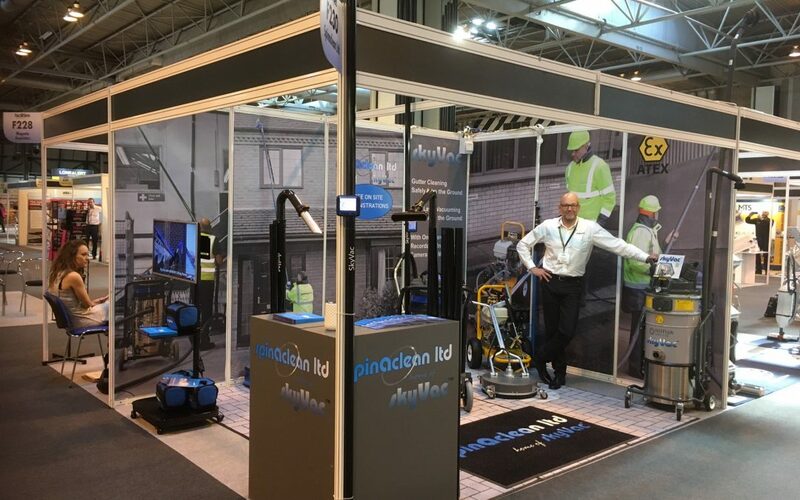 Come visit us at Stand F03 for exclusive offers, expert advice and for a chance of winning your very own telescopic vacuum cleaning pole!